Custom-designed trips to Boulder and surrounding area. Though we've lived in Boulder since the early 70s, and have hiked and enjoyed the Chautauqua Park area hundreds of times, we have Eric Malmborg to thank for a most wonderful hike and history lesson. 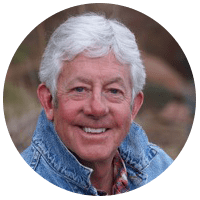 A passionate historian and extraordinary mountaineer and adventurer, Eric brought the history of this lovely park and of Boulder to life as no one else has. With historical photos and lots of stories, Eric helped us develop a unique appreciation for our home of over 45 years. We highly recommend this hike to both new comers and old Boulderites like us. So glad we found Eric. Do yourself a favor and book him! He has the ability to tailor any excursion to meet what you are looking for. From the first contact via email, Eric kindly offered me various options and picked up the right choice of hikes based on my experience. It was an exciting experience and I am sure to go with Eric for my next visit to Boulder as well! Eric did an amazing job at our BPW Colorado Convention Tour of Boulder. He also guided our group on a hike with a large group of beginning hikers who made it all the way. He was animated and very knowledgeable of the colorful history of Boulder's beginnings. I especially was moved by the story of Chief Niwot and the story of the Arapahoe Indians. I would hire him again and highly recommend his services. The best guide you could choose, not only for finding the right terrain for you, but also giving you insight of the history of Boulder and so much more. Fantastic day ERIC! Thank you. I came to Boulder with the intention of doing some cycling. I left Boulder with the most sensational cycling experience of my life! Eric of Bolder Adventure Travel made it possible. Even as a 20+ year resident of Boulder County, I learned so much history about Chautauqua and the settlers of Boulder. Eric has the gift of teaching and a genuine effervescent personality. I hope to book another tour when out-of-town friends come to visit. Eric is amazing & our hike on the Sanitas trail was awesome! Thanks to Eric and Bolder Adventure Travel for all their help and support with our trip down the Colorado Trail. His advice and planning was invaluable, and our adventure turned out the better for it. I would definitely think of them again for our next trip! Eric is an incredible guide who makes adventuring fun! I highly recommend Bolder Adventure Travel. Great time cycling with you Eric. Frank and I could not have dreamed of a better time. The cycling, scenery, and friendship will hold a place in our hearts. Your passion for the outdoors and knowledge for the area were so evident. Thanks again for taking the time to show us Boulder the best way ever....on a bike!! 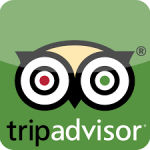 Bolder Adventure Travel has quickly become my first choice for memorable in-town and out-of-town guided tours. Eric Malmborg knows his stuff and has done it all before, so he’s a guide’s guide. It’s a great match for the newcomer or weekend visitor who has a half day or even two days to spend with him. 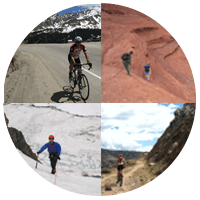 But Bolder Adventure Travel is also a great match for the experienced trekker, runner, or cyclist who may not have the full story on the history of the people and places in their favorite area of Colorado, the Front Range, or Boulder County. Talk to Eric in advance of your trip date like I did, and he will not disappoint! Eric was an awesome tour guide. He's very informative and fun to talk to along the way, too. I would recommend Bolder Adventure Travel to anyone visiting the Boulder area. Eric hosted our brief corporate retreat to Chautauqua on a recent morning and ensured all five of us enjoyed ourselves, had a good walk and learned quite a lot about Boulder's history. I highly recommend Eric and will be sure to call on him again when we are hosting family, friends or colleagues in Boulder. Thanks again Eric!! Thank you for the enjoyable and informative stroll though Chautauqua Park. On that beautiful warm October day, your presentation made Chautauqua's history and that of earliest Boulder come alive and, as such, enrich the present. We had a great morning tour and learned so much about Chautauqua Park and Boulder in general! Thanks Eric Malmborg! What a great experience! We had a blast--what an adventure!